How many times have you been in the process of buying something online, and in one way or another you get interrupted in the process? You come back to it a couple of days later, and while browsing around again, you start seeing banner ads on your browser, from the same website you got interrupted on. This isn’t a coincidence. This is a powerful marketing tool called remarketing. It helps you reconnect with your audience after they have left your virtual store. Remarketing uses a code to track visitors to your site, allowing you to remarket to them. Find out more about the remarketing tag here. Remarketing is great to market to your casual audience. Unless you have a revolutionary service or product that is represented that way by your website, it’s unlikely that a casual visitor will remember you. With the amount of competition out there, it’s highly likely that this audience may forget about you after a while of browsing the web. Targeting this audience with remarketing banners will help remind them that you’re still there and you have a product/service to offer. Even though these people will be less engaged, they’d still be more enticed to click your ad compared to someone who has never heard of you. You can choose to target all visitors to your website, people who have viewed specific pages, or shopping cart abandoners. Depending on what stage of the buying cycle the visitor is at will determine what message you should use. In today’s world, information & knowledge is key. Content marketing is a strong marketing tool that reaps success for many companies. The more information that you provide your prospects, the more likely they are to purchase from you. Giving away information shows that you’re an expert in your industry and simply that you know what you’re talking about. You can carefully collect data about the pages your prospects have been on before whether they completed an action or abandoned your website. This way you can determine visitors who are in the information gathering phase. Once you know who these people are and what they’re interested in, you can create highly targeted banner ads. These will give your leads the information that they’re looking for to complete an action through your site. There are always people who will browse your website and what you have to offer without completing an action. It’s pretty normal for a prospect to leave without any action on their first visit. Around 96% of website visitors do so. But this is normal, and a lot of the time, they’ll be back. But even then there will be those that continue to browse and never complete an action for one reason or another. These people need a bit of a push/incentive to complete the desired action. So incentivise them with remarketing! You can create a tailored message to these prospects that will push them to convert. A promotion or sale targeted to this audience works really well in convincing them to do what you want. Costs per click on remarketing are generally a lot cheaper than on search. You’re showing your ads to people who have already shown an interest in you, and you’re doing it at a really low cost. 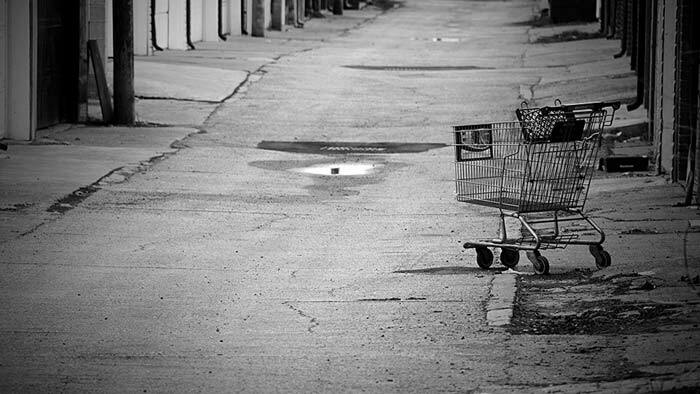 Anyone who owns an ecommerce site knows that there will be people who abandon their cart. Approximately 70% of people will. I’m guilty of this myself. There are many reasons for this. I can admit that sometimes I just get distracted and never complete that action, or I’m just not enticed enough to make the purchase. If you want these visitors to come back and complete the purchase, then remarketing works. You can create a remarketing list that tracks people who have been to your shopping cart, but have never checked out. Creating targeted banners for these leads will remind them about the purchase they nearly made, and entice them to come back and buy! Apart from all the other benefits that remarketing offers, remarketing has a large scale reach. You reach people that are on your remarketing list as they browse over 2 million sites and mobile apps that are part of the Google Display Network. As with anything on PPC, you only pay for a click on your banner ad. So when you think about all the people you’re reaching who don’t click on your banner, it’s pretty much free advertising. They still see your banner, and even if they don’t click on it, you’ll still get noticed. This ties in greatly with brand awareness. The days of using just a ppc search campaign are over. It’s now essential to run different avenues of ppc in order to achieve success online. Utilising the full scope of what is offered to you in terms of online advertising will get you one step closer to success. The possibilities are endless with what remarketing can do for you. So what are you waiting for? We can bring old and prospective customers back onto your page with our reliable, ethical methods. Market better to your clients. What better way to get your customers’ attention than enticing them with beautiful brand ads? Better yet, tap into a customer base that already exists – we’ll show you how.